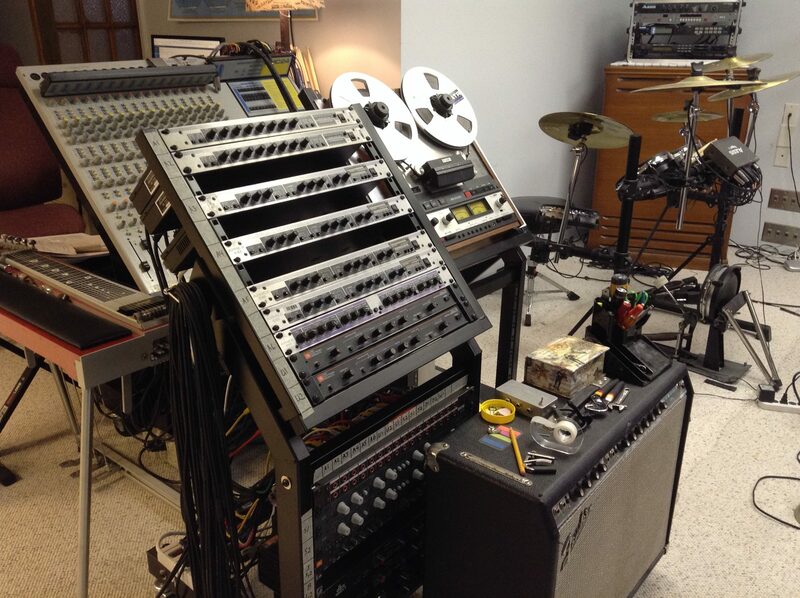 This is a lot of analog gear waiting to do a mix. We mix in analog to tape upon request. It’s not as costly as you might think, and the results are definitely different. That’s something we can discuss if you’re interested in a bit more organic sound. Some recording studio shoppers are interested in what gear we currently record, mix, and master with, I am going to try to lay it all out. I will try to keep it up to date. Thinking about how to make this useful, I’ll break it into two sections, digital and analog. It’s noteworthy that by “digital” these days we are referring to software. So I’ll put the hardware gear into the “analog” section, even though almost all but the most expensive sound gear is built using digital electronics. I’ve spent quite a bit of time working with analog equipment. Even the hybrid rack gear definitely gives a different result than the computer does. However, I also mix in digital all the time and I have some really great plugins that get the mix done quickly and professionally. There’s sometimes a big argument about digital vs analog recording and mixing. They both have their place. Some of our equipment and software includes Fireface UFX, Focusrite ISA 428 and OctoPre, Art Tube Opto8 and TubePAC , Allen & Heath CMC24, Otari MX5050 SHT, Michael Joly modded mics, Shure, Audio-Technica, Sony, Crown, JBL 4410, Sonar Platinum, Melodyne Studio, Sony Vegas Pro 13, Sony CD and DVD Architect 5.2, IK Multimedia, Steven Slate, Voxengo, DDMF, and many others.